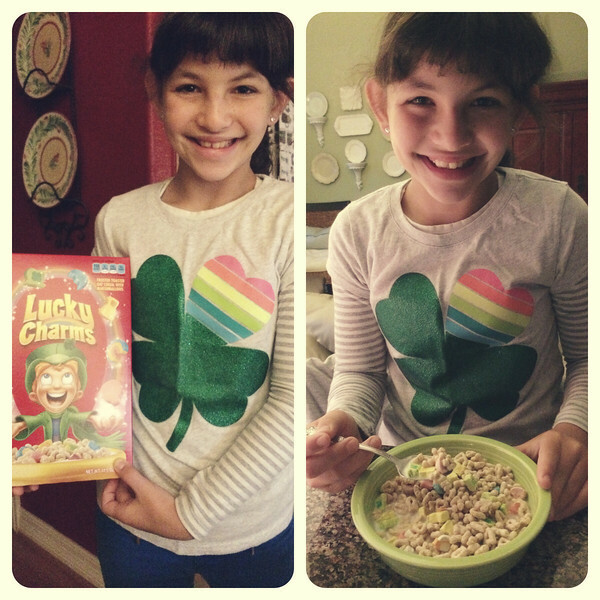 We kicked off our extensive St. Patrick's Day celebrations in one fell swoop with the wearing of her shamrock shirt from two St. Paddy's ago (thank goodness it still fits) and eating a big bowl of Lucky Charms from a chartreuse green fiesta bowl. And that was the extent of our festivities. As long as she gets her annual box of Lucky Charms, girlfriend is set. We'll leave the dying of toilet bowls green, setting leprechaun traps and serving up green pancakes to those pesky over achievers. I'm sure all of that sugar (with a side of turkey sausage links) made her return to school just peachy. After tackling our grunge-y floors with the vacuum and mop I hit the streets. 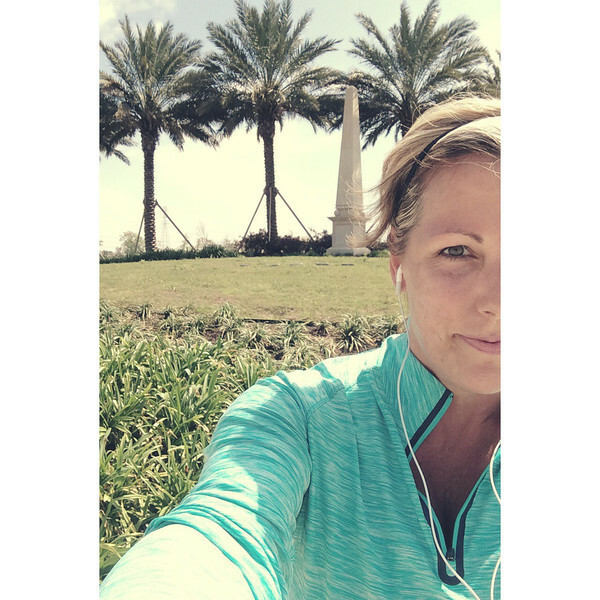 It was sunny but still cool and windy so I wore my SkirtSports capris and a long sleeve top, which all felt great at the beginning of my run but by the end I was a bit overheated. But all in all the sunshine, four miles and loud tunes pounding in my ears = free therapy and some vitamin D, so yay! I started a new book this evening, Eleanor and Park, and am already hooked only 1/4 of the way in. It's a bittersweet, teenage angst ridden love story set in the 80s and is already making want to watch Say Anything as soon as possible. And in other unrelated news, Scott and I are tentatively going back to Dancing With the Stars and all its spray tan, glitter and cheese so I can see DJ Tanner (Candace Cameron Bure) compete. At least for one week. Tonight I tried oil pulling for the first time. Have you heard of that? It's basically swishing coconut oil around in your mouth, like a mouthwash for 5-20 minutes (yikes!) to *pull* toxins and bacteria from your teeth, gums and overall mouth area, I guess. I made it the length of my shower, which may have been close to the ten minute range but near the end I thought I would gag. My teeth feel crazy clean!! Like I just came back from the hygienist kind of clean, which was surprising. I don't know if this is something I'd do every day, but probably a few times a week. It's supposed to be really good for you and help whiten teeth, so we'll see. And since there is no logical way to summarize a post about Lucky Charms, running, teenage love, ballroom dancing and oil pulling...I will just bid y'all good night.